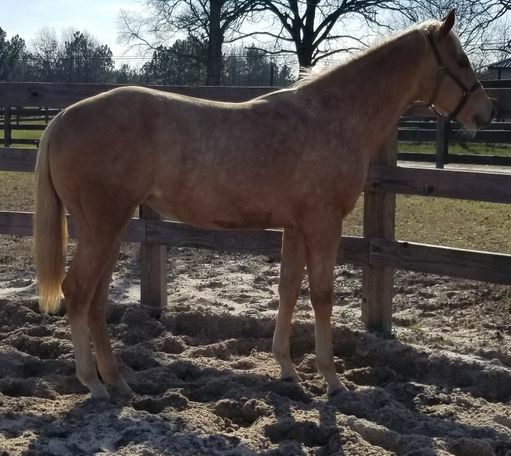 Fancy dark gold palomino filly by VS CODE BLUE. Exceptional lunge line or pleasure prospect. AQHA, PHBA AND NSBA. Solid pleasure pedigree. Dam is daughter of Cloud Walker out of a Good Terms mare. Ready to start basic training for the 2019 Phba world championship show! Tom Powes and several futurity options.